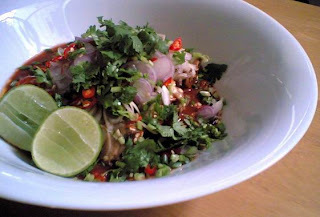 My former Assistant has been asking for this dish for weeks and I just got a chance to cook it for her this morning. For some reason it has become here favourite dish. 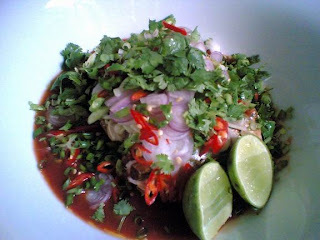 I assume its because the dish is very bold & full in favours : hot, salted, and sour... a typical Spicy Thai Salad. 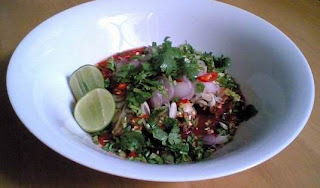 Find below Khun May's most favourite dish "Yum Pla Sa-Deen Kra-Pong"